RJ45 patch panels act as an important role in data centers, server rooms, and other high-density cabling environments. In the market, varieties of RJ45 patch panels can be found today, for example, Cat5e patch panel, Cat6 patch panel, Cat6a patch panel, blank patch panel, etc. However, what kind of RJ45 patch panel should you choose? Here I’d like to give you some recommendations. What Is RJ45 Patch Panel? RJ45 patch panel also called copper patch panel or Ethernet patch panel, is designed for both shielded and unshielded copper cables like Cat5e, Cat6, Cat6a, and Cat7. This copper patch panel is commonly used in a local area network (LAN) as a mounted hardware assembly that consists of ports to connect and manage incoming and outgoing Ethernet cables. It is compliant with TIA/EIA 568 industry specifications and features both T-568A and T-568B wiring configurations. 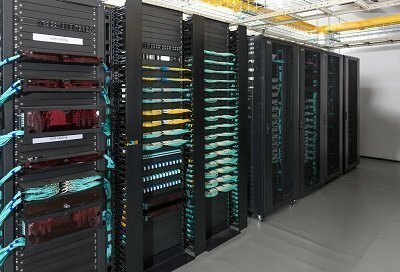 These patch panels can maximize network performance and keep up with the growing changes in the network. RJ45 patch panel offers people easy cable management, it has been acknowledged far and wide by more and more users. An RJ45 patch panel is made from steel materials so that they can stand up even the most extreme conditions. And it contains user-friendly number coding and can be used with horizontal cable manager at the front or rear. Besides, RJ45 patch panel can also be your first choice in copper/Ethernet cabling system as it is cost-efficient and durable. 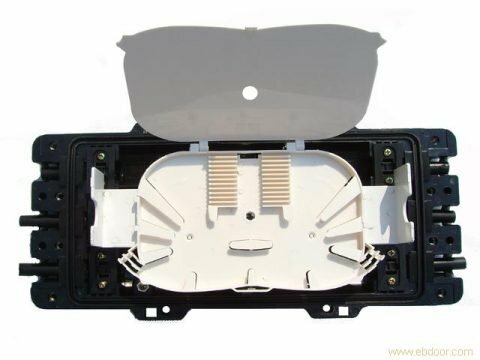 RJ45 patch panel can be categorized into the shielded or unshielded patch panel, flat or angled patch panel, etc. According to different connection cable types, some are recommended in the following part. The cat5e patch panel is one of the RJ45 patch panel types, which is commonly used for high-speed LAN transmission. 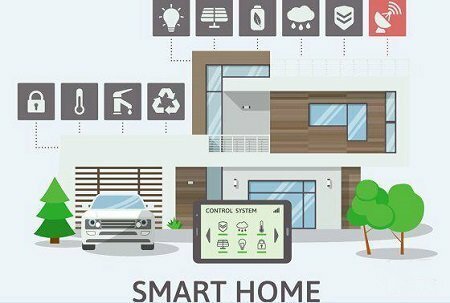 It meets the TIA/EIA 568 industry specifications and is available in 8, 12, 24, and 48-port versions. It’s convenient for identification with number labels. 12-port and 24-port are common patch panels, while high-density patch panels are available in flat and angled designs with 24 or 48 ports configurations. Compared to the 48-port patch panel, the 24-port Cat5e patch panel is more popular in the market. Specially designed for Gigabit Ethernet applications, Cat6 Ethernet patch panel also meets and even exceeds TIA/EIA 568 industry specifications, and can match all kinds of Cat6 cables and accessories. In addition, Cat6 patch panel features high-density and offer the performance required for present and next-generation data communications networks and applications. 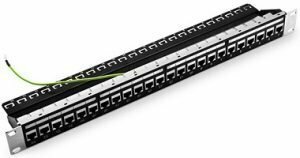 Cat6 patch panel is always designed with 12-port, 24-port, and 48-port configurations. Cat6a patch panel supports all performance requirements of IEEE 802.3an (10GBase-T) and TIA Augmented Category 6 (Cat6) cabling specifications without requiring the use of individual jacks for the panel termination. This Ethernet patch panel can be utilized to future-proof your network connection for 10 Gigabit Ethernet. Moreover, it can be installed effortlessly in universal 19″ racks/cabinets, or 1U mount brackets. All in all, there are so many types of RJ45 patch panel in the market, and you can choose the appropriate one based on the function and performance you actually need. Of course, the reasonable price is also needed to be considered. Hope this article can help you make the right choice when you need to buy RJ45 patch panels.